Efficient. Burgeoning. Thriving. These three words can be used to aptly describe a successful business in today’s increasingly connected world. With all the modern business management techniques in place, how you make use of them can turn your business from good to great. One such modern business management technique is outsourcing. It can be a source of tremendous efficiency within an organization if done properly. Take the case of Alibaba.com. In its infancy stage, Jack Ma, the founder, outsourced his website development to the US since China was in short supply of developers. Today, they still rely on outsourcing partners for production. From its humble beginnings as a small internet company called China Yellow Pages, it is now known as The World’s Biggest Online Marketplace. And then there’s Google. This multi-million dollar company has been outsourcing staff, whether IT specialists, software developers, virtual assistants for years. One significant achievement worth mentioning is after they decided to outsource phone and email support for AdWords – their top grossing product, it resulted in an exponential ROI. While it is true that outsourcing can indeed save you on costs, that is not the sole benefit. The following points show how you can optimize your business by outsourcing to BPO companies. 1) Outsourcing frees you from doing what you are not able (or hate) to do. No one is perfect, and there will always be something that you are not the best at. Say, for example, accounting. If you are not excited at the thought of pouring over spreadsheets, formulas and sorting out figures, this is probably not your forte. Instead of wasting precious time figuring out the math, making sure you are up to date on compliance regulations, etc. you are better off outsourcing this function to a reliable BPO company. Remember that as an entrepreneur, you are contributing to your company’s success when you are focused on endeavors that will make your company grow. BPO companies allow you the means to have an instant team to provide customer support or technical support even at the onset of your business . In today’s business environment, a company will die a natural death if there is no customer support in place for its end users. Especially for startups who do not have the resources to form such support teams, outsourcing levels the field and gives them a fighting chance against giant companies. Smaller companies can now provide the same services with the same level of efficiency and expertise as with larger companies. 3) Outsourcing allows you to start on new projects asap. Depending on the nature of your business, there may be times when you need more than your usual manpower at certain periods or on a project basis. Let’s say you have been handed a project that will give you the exposure your company needs however you are short in manpower. You cannot afford to turn down this project just because you don’t have enough people! Just turn to a BPO company, and they will be ready with the human resources that you need and stat! What’s Next in Business Process Outsourcing? Outsource your business processing needs to Executive Boutique and allow us to help you optimize your operations to achieve efficiency! We provide BPO services such as data entry, data mining, data verification, lead generation, telemarketing, market research and the like. To know more about the services we offer, call us and get your free quote! Telemarketing, as defined in Wikipedia, is a method of direct marketing in which a salesperson solicits prospective customers to buy products or services, either over the phone or through subsequent face-to-face or web conferencing appointment scheduled during the call — it can either be inbound or outbound in scope. Inbound telemarketing is mainly receiving incoming telephone calls from consumers responding to advertisements, usually involving toll-free 800 numbers, direct mail, or catalogs. Consumers would directly call the company to place their order. Outbound telemarketing, on the other hand, is a proactive service. It involves a company’s salesforce taking the initiative of calling end users and consumers soliciting orders or making appointments. Through the years, the industry continues to grow and continues to be one of the best strategies that businesses use to grow their leads or sales. Telemarketing can help you save costs in so many ways. Especially, when you outsource your telemarketing efforts to a call center in the Philippines, service cost is affordable because labor cost is cheap. Not to mention that there are companies that offer a money back guarantee if target conversions are not met. By being able to speak directly to your consumer, you can immediately measure your customer’s level of interest in your product or service. This feedback is helpful as you will then know what to improve on and what to maintain. Whereas the traditional method of selling is going door to door or doing sales visits, one can only perform a number of these sales visits in a day. Telemarketing, on the other hand, allows you to reach three times prospects or even more than what one can achieve in a day doing sales visits. This is especially helpful when your aim is to market to consumers who are in hard to reach areas. It generates a New Customer Base. Telemarketing is not limited to selling. It also generates leads. The calls you make allows you to compile a list of prospect leads. Follow up calls are then made based on the list and one can further screen the leads and qualify according to priority, and pass the leads on to the field sales people for further action. Telemarketing gives you insight as to who among your existing customer base has not made use of your services for a while. Telemarketing agents can then schedule a follow-up call and come up with a scheme to re-engage existing customers by extending special offers, for example. Not only is telemarketing limited to existing customers, but you can also generate sales through new customers. It creates Immediate Rapport with your Customers. With everyone going digital nowadays, telemarketing still provides the human touch which easily establishes rapport and relationships. Although we appreciate the convenience the digital age brings, it still cannot replace the value and comfort we receive from actually engaging with a live person. 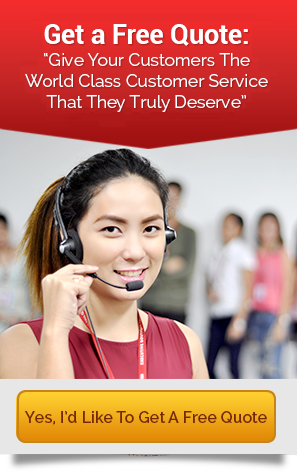 Executive Boutique is an American owned BPO call center company located in the Philippines. We are a HIPAA compliant company and we have highly trained agents that can do your telemarketing for you 24/7 – selling to existing accounts, generate new accounts, inbound order processing and inquiry handling, customer service, and supporting your existing field sales force. We also offer a wide range of business support services including, data entry services, data mining, claims filing, contract processing and a whole lot more. Contact us today for a free quote! A good number of companies are outsourcing their business processes to contact centers for a variety of reasons. For one thing, outsourcing allows them to focus on their core businesses while handing off tasks such as customer service, technical support and telemarketing to companies that are specializing on them. Because contact centers interact with your customers regularly, building a great working relationship with them is vital for your company’s success. They are your ears and eyes on how well you are doing in serving your customers. Their feedback will be crucial in improving many aspects of your business, allowing you to stay on top of the game. Here are four ways for you to build a better relationship with your partner contact center. Your business is unique in a lot of ways. From the delivery of your products and services to target customers, you will have particular goals, needs, and preferences that you have to communicate to your contact center all the time. For example, you might be looking for representatives with experience in outbound sales or a technical support expert with a background in web development. Hiring talents is just one area where you will need to be clear about your needs. You might also want certain processes in dealing with return order, customer complaints, or underperforming representatives. By being transparent about what you want, your contact centers can fluidly execute action plans that will better fit your business. An account manager is a liaison officer between you and the contact center. You might need one especially when your business is rapidly growing, you are serving a large customer base, or you are contracting several contact centers in many different locations. An account manager will be responsible in maintaining channels of communication, meeting managers and representatives on site, and following through mutually agreed business terms. Another way in keeping a great relationship with your contact center is to listen to them. They offer valuable insights about your customers especially that they interact with them every day. They can help you find ways to further enhance customer experience and identity areas of improvements. Additionally, you can also benefit from their feedback on how you can improve your business processes and tools. Most of all, they feel valued as an integral part of your company when you listen to them and respond positively on their constructive feedback. When they do a great job, reward them. It will be advantageous to your bottom line if you do. Rewarding excellent work will encourage them to always meet or even exceed your expectations. You can give incentives to teams, representatives, or managers who are doing well in sales, customer satisfaction, and other business processes. In turn, your customers are going to be taken care of by motivated people. They will stay as a fan of your business which can translate to increase in repeat sales and boost your company’s overall reputation. Treat your contact centers as you would a business partner. They are your frontline brand ambassadors representing your company every time they communicate with your customers. By bringing your relationship with them to the next level, you can rest assured that your customers are treated with world-class service experience. Culture is a tricky thing. When it’s working fine, no one notices it. But when it starts to deteriorate, everyone scrambles to find out why. That’s the reason successful companies do everything they can to build and keep a healthy organizational culture. They know that it sets a productive atmosphere in the workplace, which helps motivate employees to bring the business to the next level. So they actively find ways to keep engaging their people, rewarding positive attitudes, and nurturing the right core values. But while it takes time and energy to maintain a great culture, it can be easily undermined by complacency and hiring the wrong people. As a business-owner, how will you know that the culture in your organization is headed for the gutters? Here are 5 red flags that can tell you things are going downhill. If no one knows the vision-mission statements, the organization is in trouble. It means that nobody cares. Vision-mission statements are not just shiny words next to the company logo on the wall. They represent the very identity of the business. They spell out the purpose of why you’re doing what you’re doing and articulate the methods on how to reach your goals. And when they are not discussed openly, when no one talks about them and how they can be put into action, they become a string of words that are empty of meaning. Feedback is the breakfast of champions. It helps spur innovation and effective decision-making. But when people would rather join chitchats than communicate, the organization is failing in creating a sense of trust and safety for feedback to flourish. In turn, ideas that could have pushed the company forward do not reach the decision-makers and instead are allowed to morph into resentments. An organization with a great culture is humming with activities. People are standing up, talking, collaborating, and making meaningful connections. A declining one is marked with a lack of team spirit and a lack of enthusiasm. Employees are stiff, isolated, and focused on unhealthy competition. Having employees who are great to work with is good. They make your life in the office less stressful. However, it’s not to your advantage if you are surrounded by yes-people. Yes-people bend over backwards to make you feel good about the way you’re running the business even when things are going to the wrong direction. They’re the type who people who aren’t really interested in doing hardwork and making an impact to get promoted, they’re more into giving the business owners (or their superiors) some lip service to gain their approval and be promoted. These are the kind of people who are only think of themselves, and aren’t interested in helping their colleague or the company grow. Another telltale sign of a culture that’s going bad is the lack of accountability. When wrongdoings go unpunished and good deeds are not rewarded, people will develop the wrong set of skills and attitudes. They will try to game the system, do everything they need to avoid getting caught, and shift blame to other people. When you see any or all of the above signs, act quickly. Not doing anything will only make the situation worse. You can begin by reviewing your vision-mission statement, improving the way feedback is handled, opening channels of communication, and creating clear reward-and-recognition program. After all, keeping a finger on the pulse of your organizational culture is essential to your success. 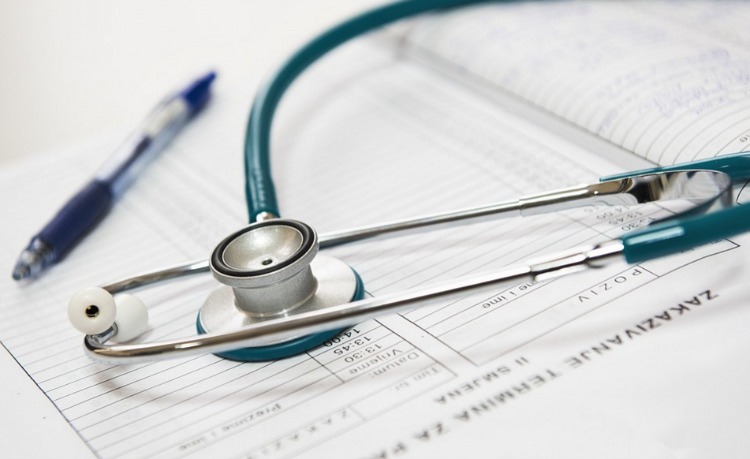 PHI data breaches can cause a lot of problems for both the medical organizations and for the patients to which the protected health information (PHI) belongs to. PHI holders whose information have been breached can experience severe social damage to his or her career, reputation, family, and even lifestyle. The impact of PHI data breaches are so severe that it can even lead PHI holders to sue the organization and demand compensation for the damages that occurred. Because of these repercussions, it is highly important for medical establishments to only work with contact centers that are HIPAA compliant and that practice a high sense of PHI data security. This blog post will cover two important tips on methods that HIPAA-compliant contact centers can use to prevent data breaches. Our goal at the end of this post is that you’d be able to identify contact centers that use methods and strategies that are aligned with preventing data breaches. Risk assessments involve utilizing a third-party security expert to conduct a thorough check up on the kind of safety and security level that is used in a contact center’s operating procedures. These experts then give feedback to the agency on how they could improve their safety standards to prevent becoming a victim of possible data breaches. Agents leaving their desktop computers open and accessible while taking a break, allowing unauthorized individuals to view and even access the PHI. PHI storage devices not utilizing any encryption software, thereby leaving the data easily accessible in the event of the device either being stolen or lost. Agents discussing confidential PHI details among their peers, colleagues, and other individuals who are not authorized to know these details. Because lapses such as these can sometimes be overlooked, investing in risk assessments would help pinpoint vulnerable areas in a contact center’s information handling and storage. These lapses and vulnerabilities can then be corrected by the agency via proper employee training or by using the right cyber-security and encryption tools. Another way of reducing the likelihood of a data breach is to ensure that all employees go through and pass a uniform training program that focuses on HIPAA compliance. These employees should be fluent with the HIPAA compliance guidelines and should be kept up-to-date with any changes and updates to the Act’s regulations. The agency’s management should also regularly remind and emphasize to agents the important operating procedures and policies that they need to maintain as they go about their daily tasks. Agents ensuring that their screens have to be protected from the view of other unauthorized individuals at all times. Agents storing files in secured locations and utilizing secure emails and phone lines when disseminating sensitive PHI. Agents encrypting files before sending them and utilizing password-locks when taking breaks to ensure that unauthorized individuals could not access their devices. Emphasizing these guidelines and setting consequences for compliance-failure would lessen the chances of data breaches happening because of any lapses on the agent’s part. If you’re looking for a HIPAA-compliant contact center to outsource your patient’s PHI handling, storage, and management needs, allow us to help. Executive Boutique is a fully-compliant HIPAA call center that is well-versed with patient privacy and never overlooks data security. For more information, click the contact button on the upper-right part of this page to contact us today. Also, got any questions, concerns, and feedback? Comment below. We’ll get back to you as soon as we can. Let me guess: You want your patients’ medical records handled with utmost care and security, don’t you? That is why you’re looking for a HIPAA compliant call center to partner with, so you can be confident that the way your customers’ medical records are handled is in accordance with the HIPAA guidelines. Of course, we can help you with just that since we are a HIPAA compliant call center. However, in addition to supporting you through our services, we’d also like to bolster your current understanding of the act by educating you with the ins and outs of HIPAA. We’re going to run a full-blown series talking about the guidelines and workings of HIPAA. At the end of the series, we hope that you’ll have a better understanding of how HIPAA works, so that you can stay compliant and avoid the hefty fees that comes with violating their rules. If you didn’t already know, HIPAA is an acronym that stands for the Health Insurance Portability and Accountability Act of 1996. It is an act that was enacted by the U.S. Congress on August 21, 1996, and was also signed by President Bill Clinton in the same year. It’s also known as the 191st Public Law of the 104th U.S. Congress. Other names that it goes by is the Kassebaum–Kennedy Act or the Kennedy–Kassebaum Act, which is named after two of its main leading sponsors. Let’s start this series by tackling the contents of each of these titles bit-by-bit. We are going to dive into each of these titles, and take a closer look at what each title is all about. Up first is the healthcare title. The first title of HIPAA contains how the breadth and availability of some individual health insurance policies and group health plans are now regulated. It amended acts such as the Public Health Service Act, the Employee Retirement Income Security Act, and the Internal Revenue Code. The first title requires that group health plans would cover individuals that have preexisting conditions. This title also limits the restrictions that a group health plan could place on the benefits for preexisting conditions. The way it works is that group health plans could choose to refuse to provide benefits that are related to preexisting conditions for a term of 12 months after being enrolled in the plan or a period of 18 months in cases of late enrollment. Title I also allows individuals to have the exclusion period of their group health-plan reduced depending on the amount of time of “creditable coverage” that they had right before enrolling in the plan. It also allows individuals this exclusion period reduction after “significant breaks” in coverage. “Creditable coverage” has a broad definition, but includes almost all individual and group health plans, Medicaid, and Medicare. “Significant breaks” in coverage is operationally defined as any 63-day time without any creditable coverage. Title I comes with an exception though that allows employers to tie premiums and copayments to body mass index and tobacco use. Another thing that the title requires is that policies ought to be issued without exception to individuals that are leaving group health plans with a creditable coverage that exceeds over 18 months. This title also requires insurers to renew individuals regardless of health condition and without exclusion so long as these policies are being offered, or to provide alternatives instead to the plans that are discontinued so long as the insurer would stay in the market. Some health care plans are exempted from the Title I requirements as mentioned above. Some of those that are exempted include long-term health plans and other plans that are limited in terms of scope, such as vision and dental plans that are often offered separately from general health plans. However, if the general health plan includes the benefits mentioned above, then the HIPAA still applies to those kinds of benefits. For example, if dental benefits are included in the new plan offer, then it has to count the creditable continuous coverage that is under the old health plan in determining any of the plan’s exclusion periods for dental benefits. Available as well to the health plans that are under Title I is an alternative method of calculating creditable continuous coverage. Other similar limited benefits that are specified in regulations. Anything that is not under the categories mentioned above has to use the general calculation. A practical example for this would be to have the beneficiary counted with 18 months of the general coverage but only for six months of dental coverage because of how the beneficiary did not get a general health plan that was able to cover the dental plan up until six months before the application date. There’s this odd case that exists in which applicants who enter into general group health plans cannot obtain certificates of continuous creditable coverage for independent limited-scope plans, so that they could use these certificates to apply towards the exclusion periods of the plan because of how the limited-coverage plans are exempted from HIPAA requirements. Also, Title I does not allow the validity of hidden exclusion periods. Clauses, such as “To be covered, the accident must have occurred while the stated beneficiary was covered under the same health-based insurance contract,” ought not to be acted upon and imposed by the health plan, and has to be re-written as to comply with HIPAA standards. There is even more guidelines and details mentioned in Title I: Health Care Access, Portability, and Renewability of the Health Insurance Portability and Accountability Act of 1996. However, despite all that we’ve tackled so far, we are still just scratching the surface as compared to all the contents that the first title of the act has to offer. If you would like to read more on the contents of Title One, or if you would like to read more about the whole HIPAA itself, you could find the link to its official publication on the Government Publication Office website down in the Resource section below. We are going to end the Part One of our series here. I hope that you’ve found value in what you’ve read so far. For a teaser on the upcoming article, we are going to be continuing our extensive yet easy-to-read discussion on what HIPAA is all about and on why call centers have to be HIPAA compliant. In the next article, we will be continuing with the next title in the list of titles under HIPAA, Title II: Preventing Health Care Fraud and Abuse; Administrative Simplification; Medical Liability Reform. We will be explaining what this second title of the act is all about, and we would also be going over significant topics under the title that are highly relevant towards getting closer to explaining why you need a HIPAA compliant call center. A brief look into some of the topics under Title II that could be read in the upcoming article would include contents of the enforcement rule, the unique identifiers rule, the security rule, the transactions and code sets rule, and the privacy rule. These are just some of the insights that you would be getting regarding the HIPAA in the next article. So, stay tuned for Part Two of our Ultimate Guide to HIPAA. Even for experienced salespeople, selling a product over the phone can be quite intimidating. However, with the right techniques and strategies in place, not only will the sales person be able to sell more, but he can also reduce the anxiety that he feels when dialing. Allow me to share with you nine phone sales tips that you can use to get better results out of your sales calls. 1. Set a daily goals. It is important to identify your sales goal every day. The number of calls you make is one of the things you need to consider when making your daily sales goal. Meeting a daily goal will help you stay motivated and confident. 2. Plan each phone call carefully. Before you make a phone call, you have to set your objective first. Ask yourself questions like “Is the call I’m making focused on setting up an appointment?” or “Do I want to make a deal over the phone?” These questions are crucial when you’re developing a script. 3. Choose the right time to call. Typically, early mornings and late afternoons are the best times in a day to make sales calls. Based on a study conducted by the Northwestern University, the ideal day to call in a week is a Thursday. Planning the right time to call is one of the key factors that makes a successful sales call. When making a sales call, confidence is essential. If you aren’t confident about the product that you are selling, your clients will notice if you sound nervous. In the end, they will not be confident about your product. Be sure to use a professional tone over the phone. If someone is rude or rejects your call don’t get discouraged. The client doesn’t mean a personal attack. Sometimes people refuse sales calls. Despite the ill treatment, remain polite and respectful, hang up, and proceed to make the next call. 6. Remove/limit your background noise. Make sure to make your sales calls in a quiet area where you can clearly hear your client, and in turn, he or she can also hear you clearly. No one is going to be interested in talking to you if there is a lot of background noise. If you fail to pay attention to the person you’re talking to, they will do the same to you. Assure your clients that you are listening to them by saying words like “I understand” and “Noted.” These phrases will make your customers feel valuable which is what you’d want them to feel. 8. Do not badmouth your competitors. Avoid speaking of competitors, if possible. When you say negative comments about someone else, your client will most likely imply that you possess the same traits, especially if your product is similar. Mention the unique qualities of your product instead of bad mouthing your competitors. Not every client you call will answer the first time. Keep trying for several weeks until you reach someone. If your intended client isn’t available to take the call, leave a message. Include your contact details so the client can easily reach you once they are available. Although telephone sales can be quite challenging, it can help you drum up more customers for your business. That being said, possessing solid sales skills will give you a distinctive edge over your competitors if they do not take the time to implement sales call campaigns. If you have comments, ideas, or questions that you’d like to ask, please do so in the comments section below. Cheers!